Today we had a tiny little visitor in our house, in the form of a caterpillar that I found in with our blueberries. I took this as an opportunity to show Ethan this little creature up close and personal. He has recently started noticing flies and bees buzzing around, but hasn't yet taken any notice of bugs on the ground. 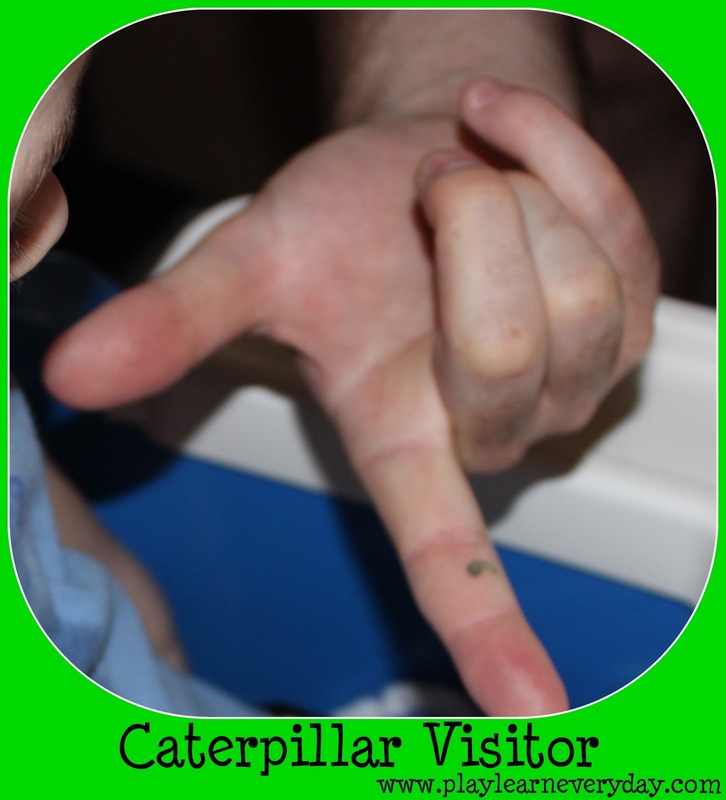 So Ethan's Daddy held the caterpillar up for Ethan to get a closer look, a great experience for his Knowledge and Understanding of the World. At first Ethan didn't really seem to understand what we were pointing at, but soon the caterpillar started moving more, reaching up and crawling around and then Ethan took notice. He moved out of the way a little bit as he just wasn't sure about it. We tried to encourage him to hold the caterpillar, but he was absolutely not interested! We'll definitely have to go on a little walk to search for bugs one day, to get him used to them.